Vehicles , Walls, Glass, electornic devices, and more. 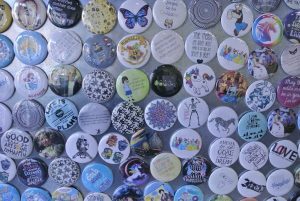 We carry 1” and 2.25” buttons and magnets as well as 2.25” bottle openers. We carry a selection of these at the store and we make custom for your project! The more you buy, the more you save. Ask us about bulk pricing. 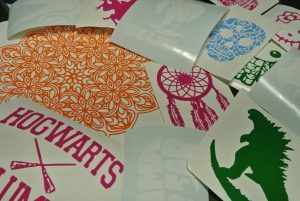 We can make these products for your band, business, school event, wedding, or just for fun! Make them Custom! Simply print out the pdf below, make your Art, then bring them to the store and we will make them into buttons, magnets, and bottle openers. You can also send us an image and we will print it for you. Contact us for more information. Our newest offering is laser cutting and engraving. Our laser cutter will cut a variety of materials including wood, acrylic, felt, and more! Please reach out to us for more information about your project! 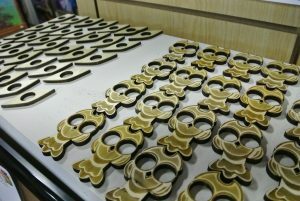 We also carry a variety of laser cut products in store. Stop in to see our current offerings. Click the link below to start your photo engrave. 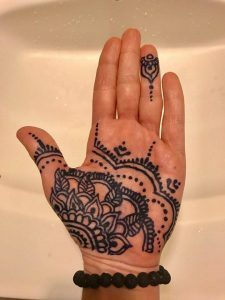 Rosette Studios: Arts & Letters is happy to offer Henna Temporary Tattoos. We offer Traditional Henna which is red/brown in color, and Genipa, which is blue/black in color. 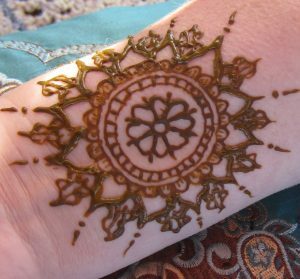 Individuals are welcome to come to the store to get Henna. Appointments are recommended. We offer group parties at the store or at your home/event. Contact us for pricing. 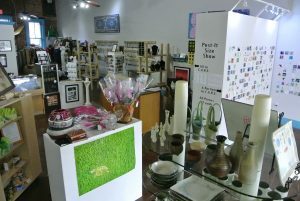 We have over 80 artists with thousands of products in store. We have Art & Art Prints, Jewelry, Ceramics, Crafts, and so much more. Everything in our store is handmade and mostly made by local craftsmen. Our makers love to make. We work with our artists to make custom products. 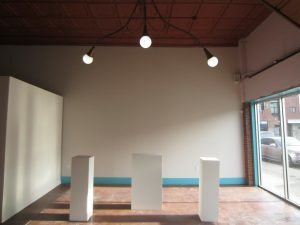 Rosette Studios offers a new gallery show every month with an opening the first friday of every month. If you are interested in showing in our gallery, please contact us through the contact tab.